During the last fifteen years and in several institutes in Holland, I followed different painting courses and educations. I was educated in different painting styles and methods, for example watercolour, portrait, models and lead and leather in abstract. 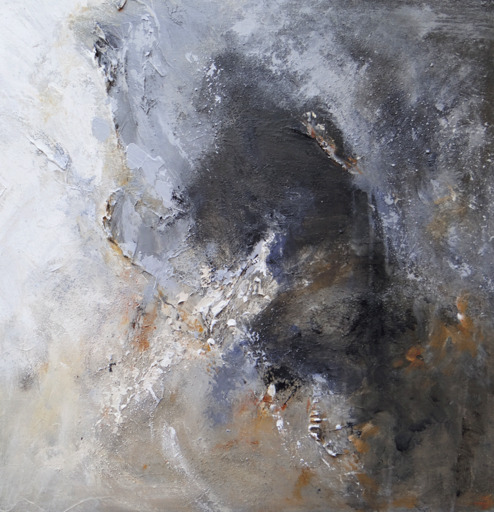 My personal style has developed from figurative paintings into more abstract paintings over the last years. I like to paint without a goal or destination in advance. When painting, I look back at beautiful or satisifying moments, most of them are related to nature. Different landscapes, diifferent colours and different shapes inspire me. I combine them with personal events and express them on canvas. Intuitively, I search suitable images and the result can be surprising. Creating a painting is a process in which I instinctively decide which images are added and which ones are left out. The painitings carry several layers of acrylic, most of the time combined with different materials like grains of sand, barks, oysters, seashells or wood which has drifted ashore. This way , the canvas always tells my own course of life.